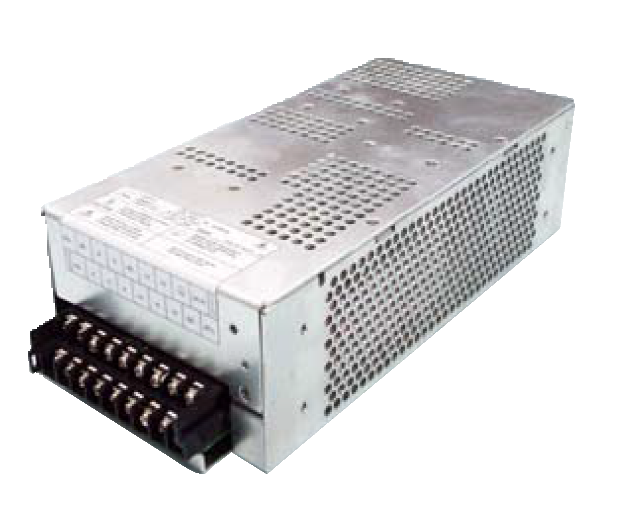 The PSSNP-F600 series of AC/DC power supplies offers rated output power of 600 watts and a peak output power of 1000 watts. This series consists of single output models with a universal input range of 90~264VAC and high efficiency. Several options are available for this series including: vertical or horizontal assembly, DIN rail assembly, and a medical version. 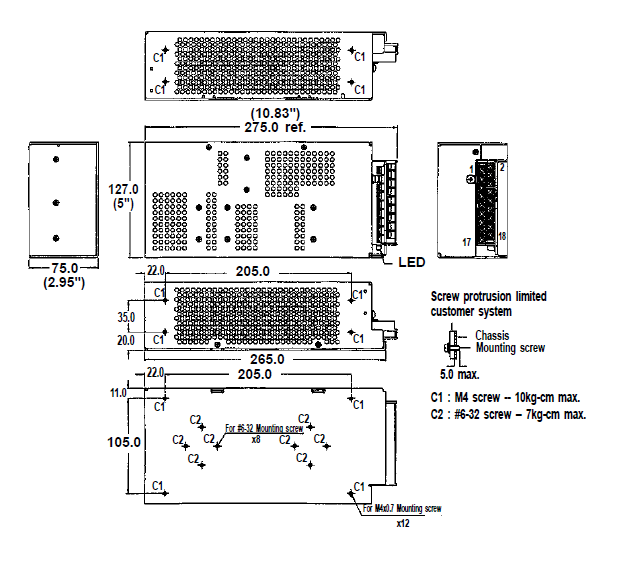 Each model in this series has active PFC and is protected against over load, over voltage, and short circuit conditions. This series can be used in ITE, medical, and industrial applications and has UL/EN/CSA 60950-1 and UL/EN/CSA 60601-1 safety approvals. Please contact factory for ordering information. 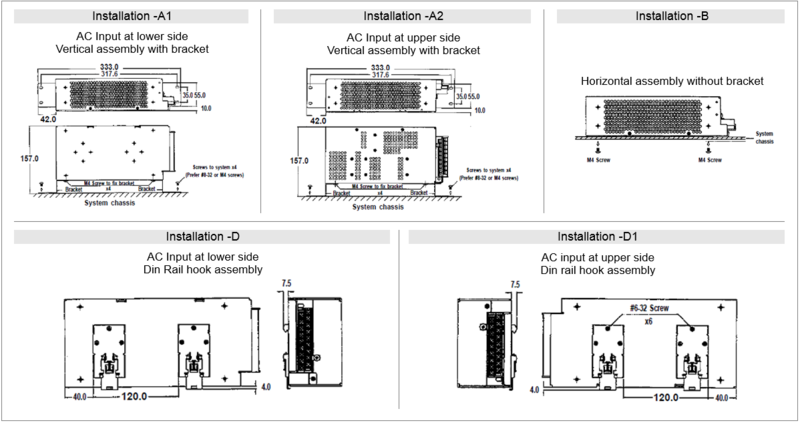 For DIN Rail Assembly with AC input at upper side, add -D1 to end of the model number. Ex. PSSNP-F6007-D1. This series is available as a medical grade product. To indicate medical grade, add -M to end of product model before any other suffixes. Ex: PSSNP-F6007-MA2 would indicate a medical grade model with vertical assembly with bracket and AC input on the upper side. 2. Ripple & Noise is measured by using 15MHz bandwidth limited oscilloscope and terminated each output with a 0.47uF capacitor at rated load and nominal line. 3. At peak load, the output can last for 8 seconds without shutdown. 5. Load regulation is defined by changing ±40% of measured output load from 60% rated load at another output set to 60% rated load.